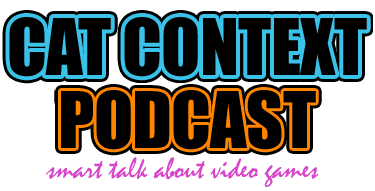 Episode 42 of Cat Context podcast is now available! With the beginning of 2014 clearly under our belts, we decided to reflect on the year that was and look forward to the year that might be. Liore, Arolaide, and Ellyndrial talk about their favorite games (that they played) during 2013, and Liore proclaims that 2013 is The Year of the Indie Game! Which is the same proclamation she made at the end of 2012. MMOs weren’t great this year! Et cetera. After that, we look forward to 2014 and discuss some of the upcoming titles that we are anticipating: Broken Age, Witcher 3, Destiny (moreso if there was any news about it), and Dragon Age: Inquisition! Finally, we have a bit of discussion about what we’ve been playing recently. Aro has shamed herself by returning to SWTOR, but I guess space battles are kind of fun? Ellyndrial has been playing some iOS games while on vacation! Liore is… mastering horses? It is all very confusing. Apologies for the audio quality this week. There were some technical issues that didn’t show themselves until editing.